I was very surprised that so many of you knew what last week’s What Is It Wednesday was. And for those of you that did not know, it was oxtail. but I was pretty sure that it would really give it away. When it is all lined up like it would be uncut, you really can tell it is a tail. 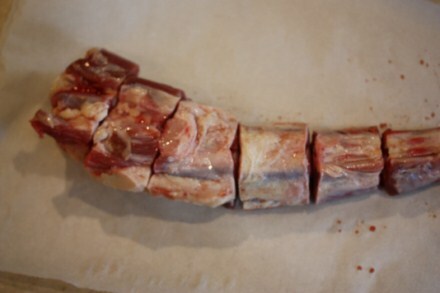 Now, this not really ox tail, this is a beef tail, but they call it oxtail. And it is not really that new to my family. Each year we have buy half a beef and it often comes with an oxtail. The first couple of times that we got it, I never used it, and it ended up in the trash. And yes I know some of you are thinking, the trash, you threw it out, but I really did not know what to do with it. I grew up eating a lot of beef. We often raised a cow/steer every year or two, so I am familiar with beef and some of the more strange cuts that come from it. We often ate the tongue, heart, and liver. None of those are my favorite thing to eat, but my mom did cook and serve them. A few years ago though when I saw a recipe by Paula Deen for oxtail, I knew I had to give it a try. Paula Deen can make just about anything taste good, so I figured her recipe was a good place to start and it ended up being very good. This year when I cooked it I made another recipe by Paula Deen that uses oxtail, but adapted it for the crock pot. Both of Paula’s recipes have worked well and most of my family has enjoyed them. 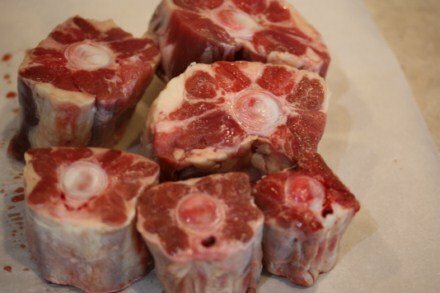 I would love to hear more thoughts from you all on oxtail and how you enjoy it. my family has always cooked it in Caldo, which is like a thick brothy beef soup. it gives it a lot of flavor, much like neck bones. I grew up eating oxtail in soups and in stews, like Kare kare. It’s funny that when I was a child oxtail was somewhat inexpensive, but now they are considered a delicacy and is expensive.